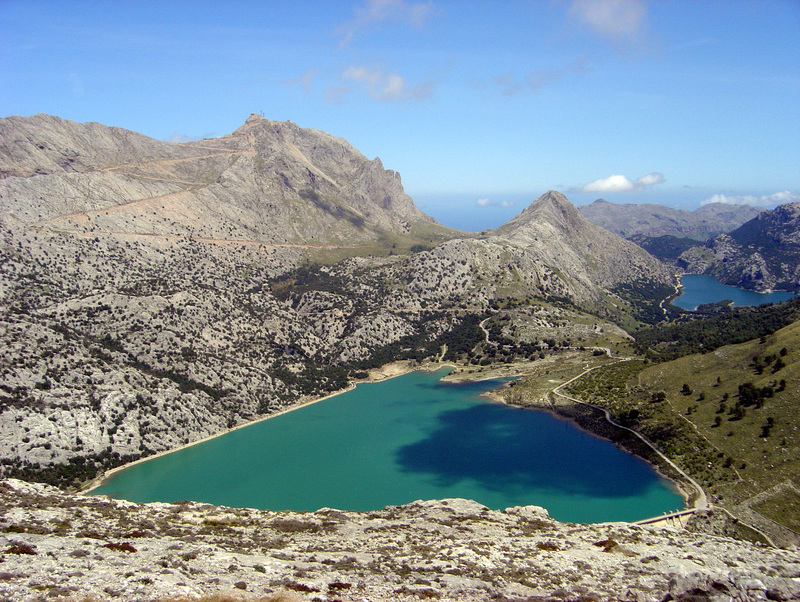 The town of Escorca is an ill-defined scattering of houses, which is best known as the starting point for the descent of the torrent of Pareis. 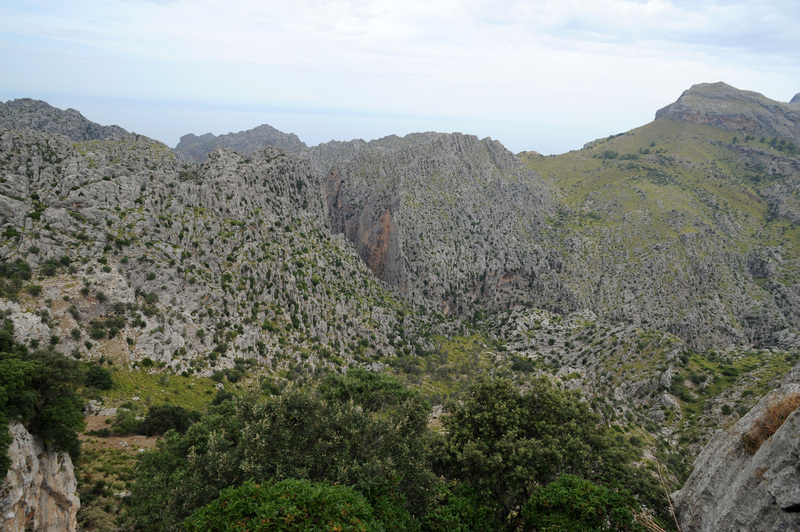 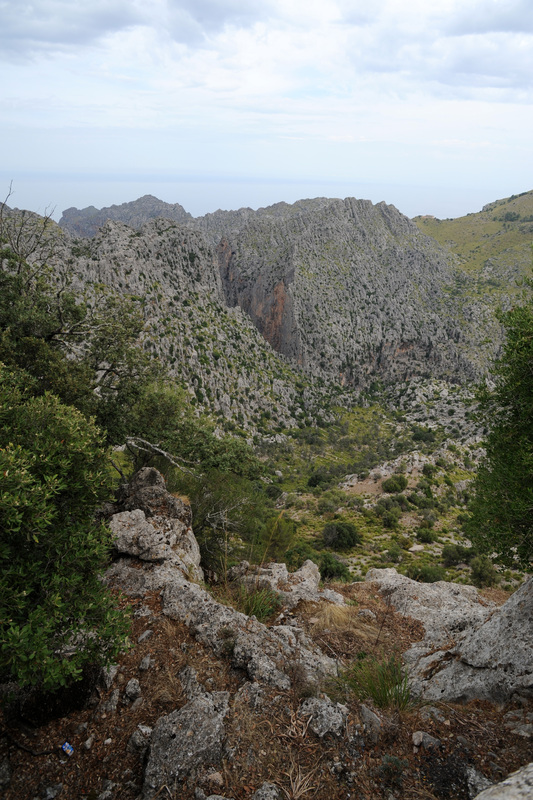 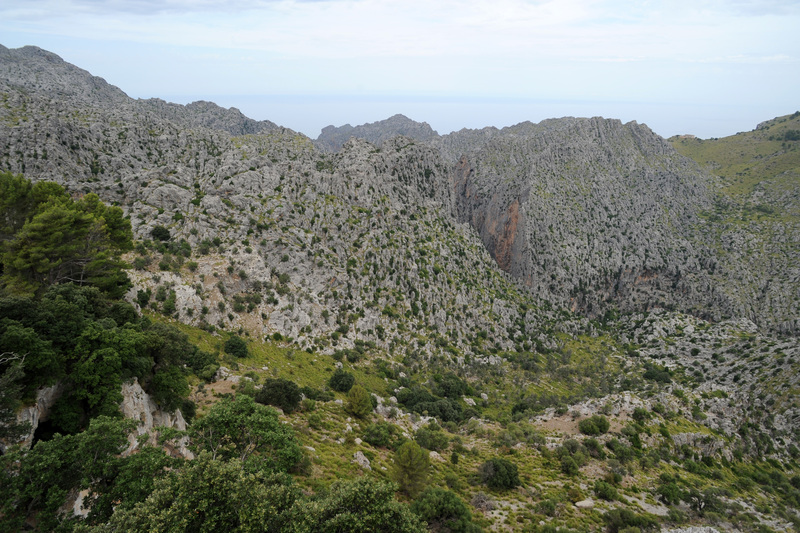 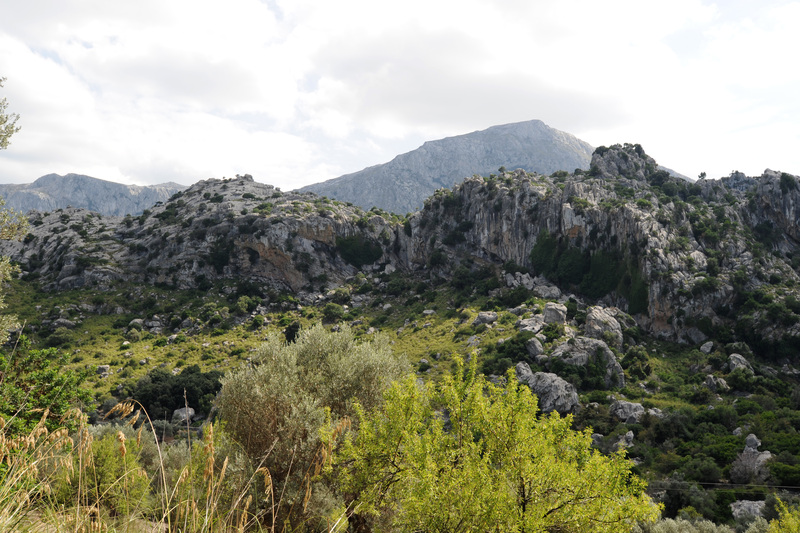 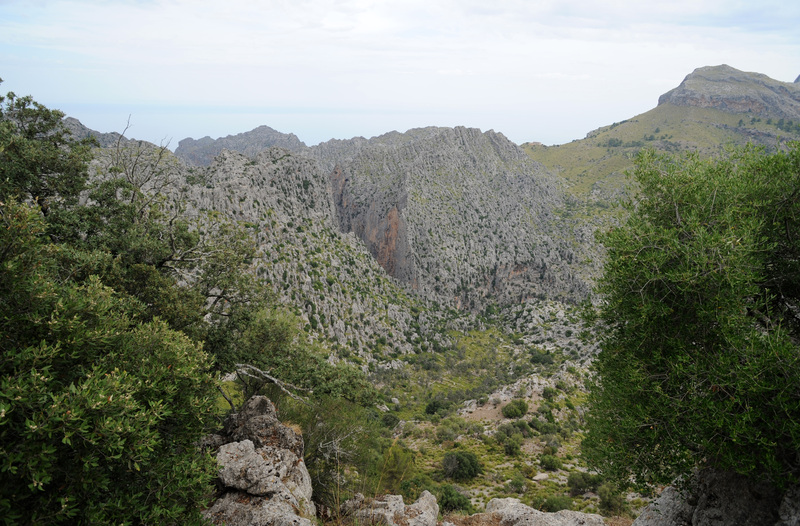 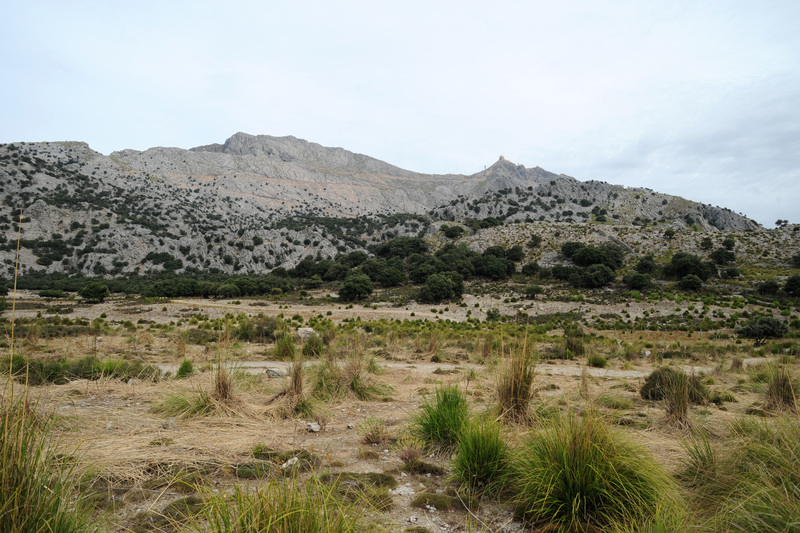 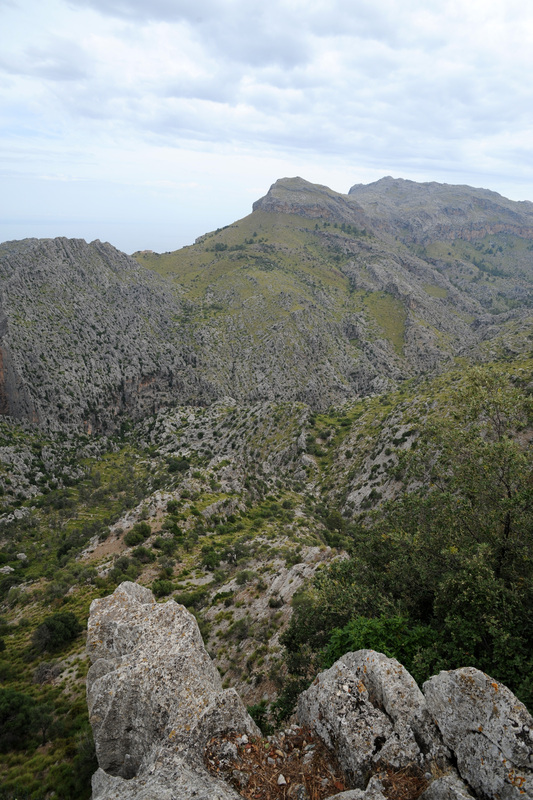 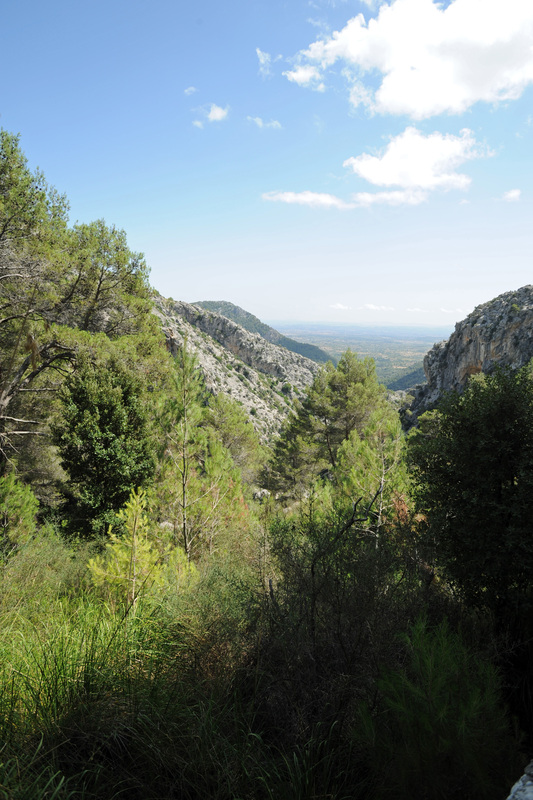 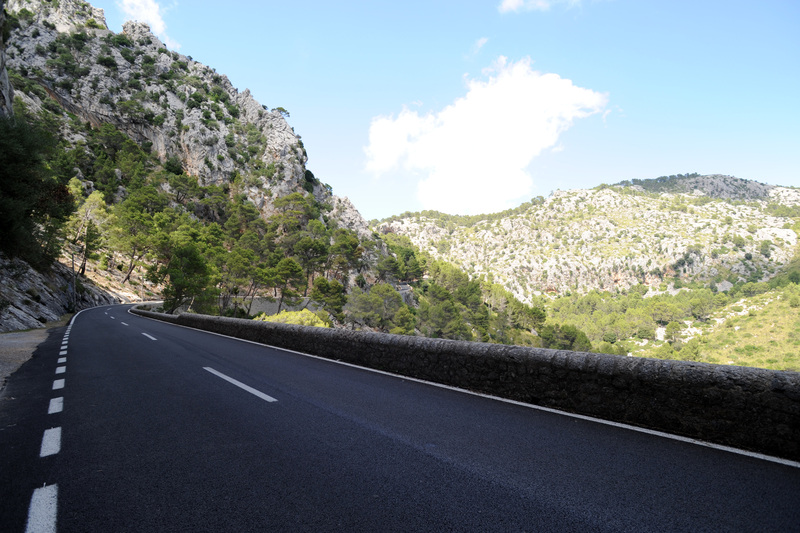 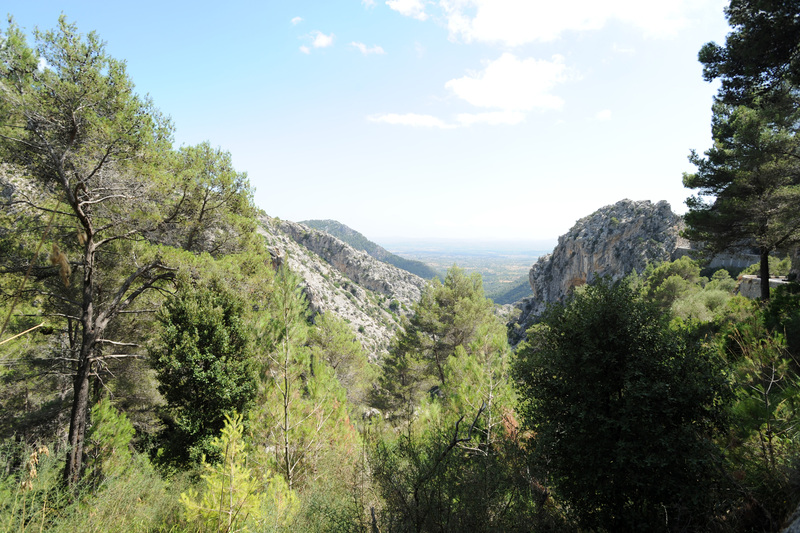 The common Escorca concentrates the highest peaks of the Serra de Tramuntana. 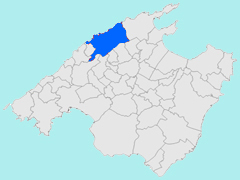 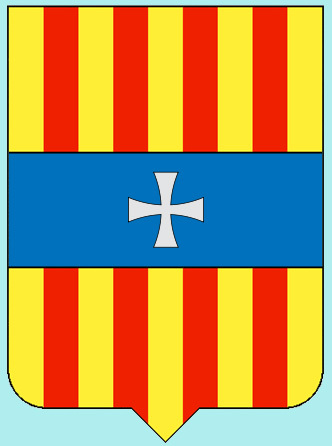 Escorca is 26 miles northeast of Sóller. 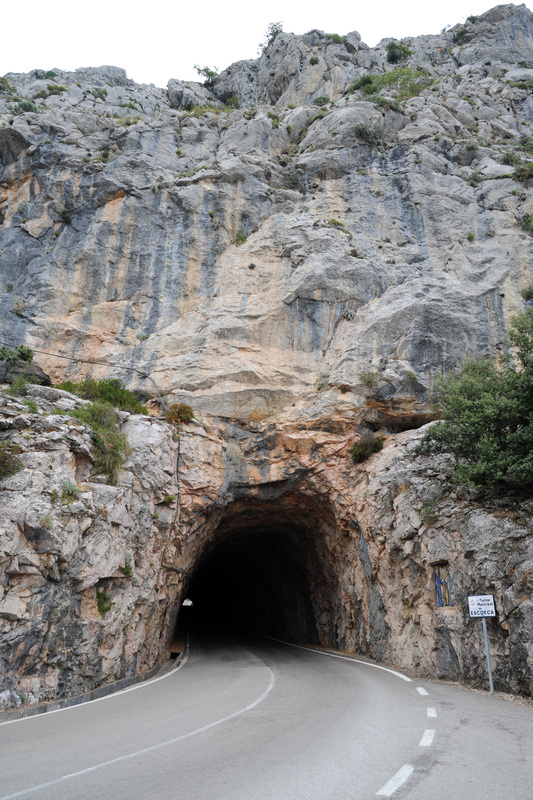 After Sóller, Fornalutx and Mirador de Ses Barques, Ma-10 road crosses the Serra de Son Torella through a tunnel. After the tunnel is discovered Blue Throat (Gorg Blau), a barren valley was a place of great beauty until a hydroelectric project fulfills the two lakes of similar pools provided. 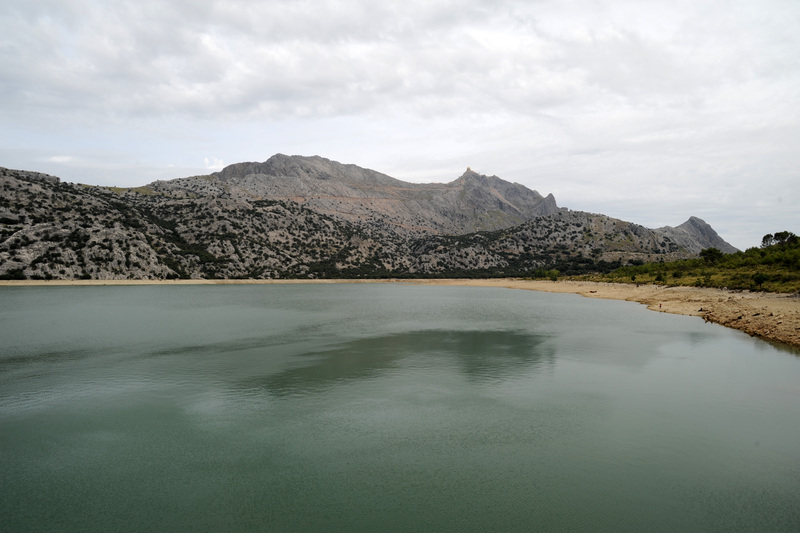 The first lake is the Embalse de Cúber, a water unattractive but interesting for its abundant birdlife, including several types of prey. 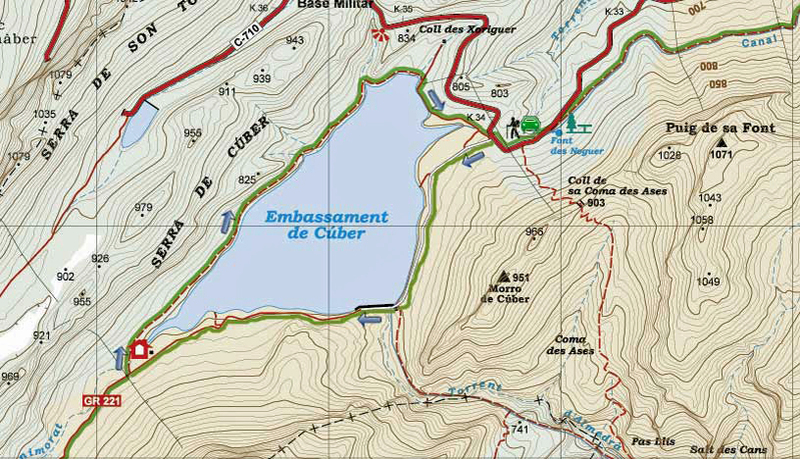 The Cúber Lake is a reservoir located at the foot of the Puig Major and spur Morro de Cúber. 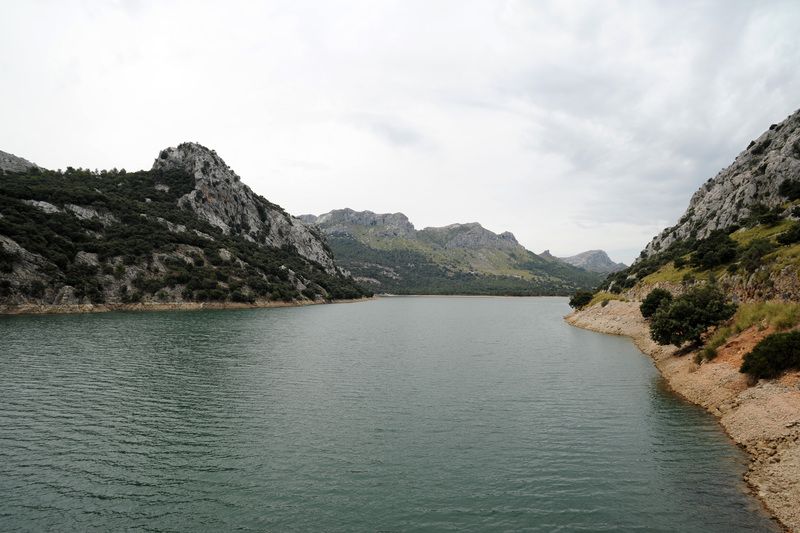 One can easily follow the path that goes around the lake, reservoir, around the lake takes two hours away. 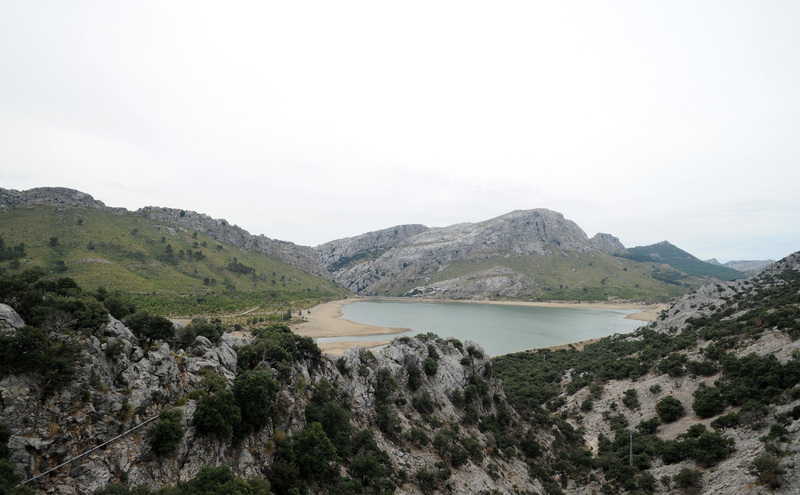 Associated to the Cúber Lake, Lake Gorg Blau dam supplies water to the city of Palma and its surroundings. 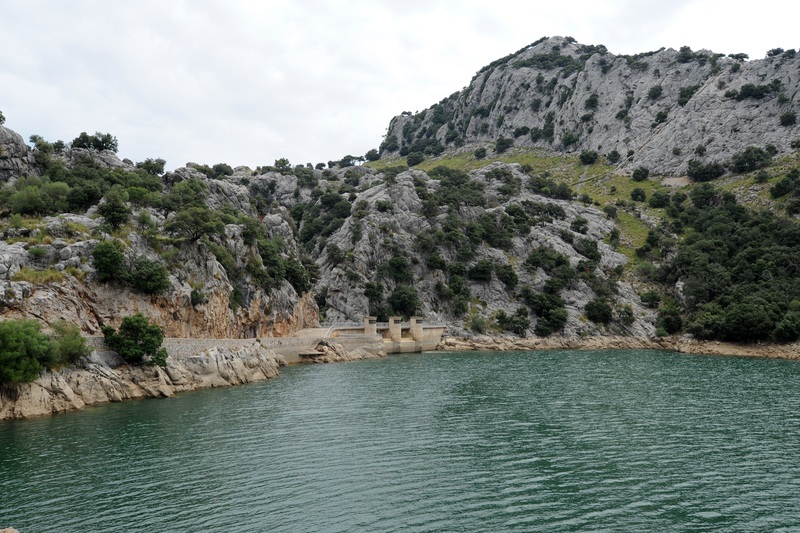 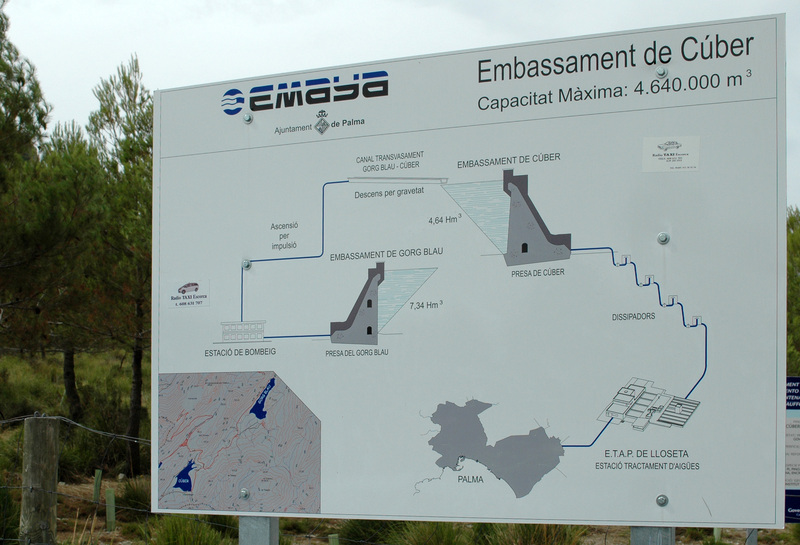 The water from these two dams is distributed to the municipalities of the metropolitan area of ​​Palma through the torrent of Almadrá. 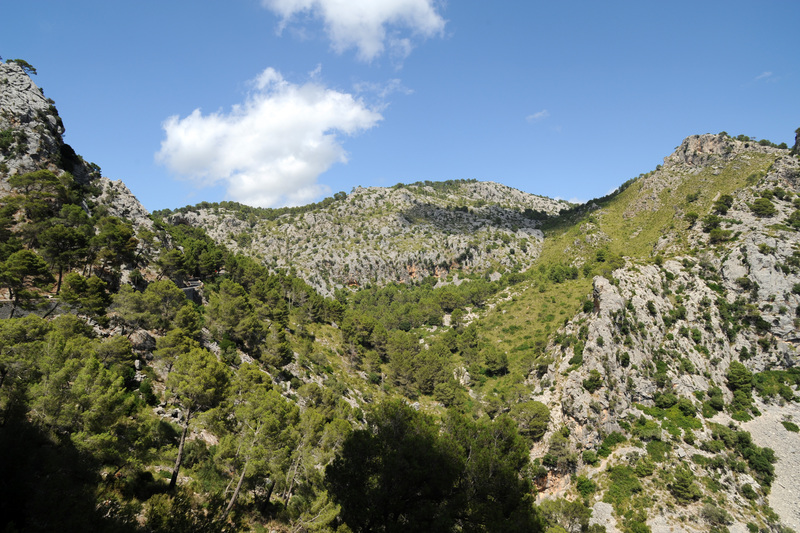 At the bottom of the valley Gorg Blau, the steep sides of the Puig Major is visible. 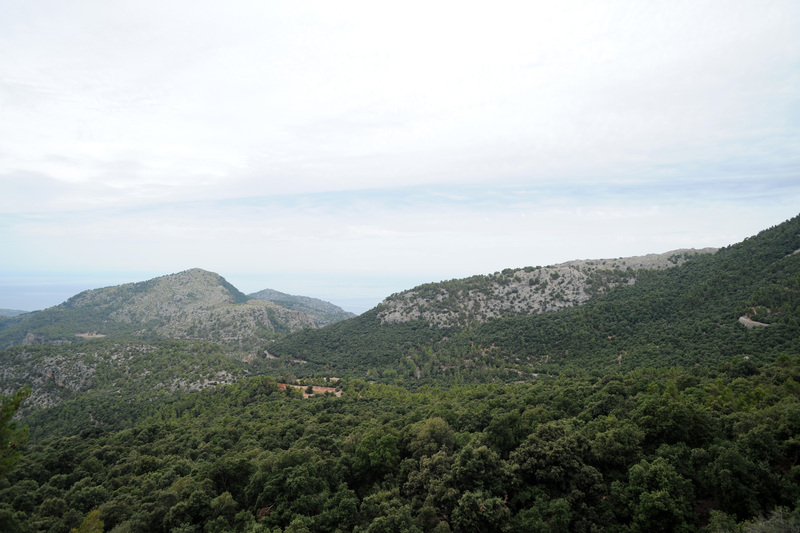 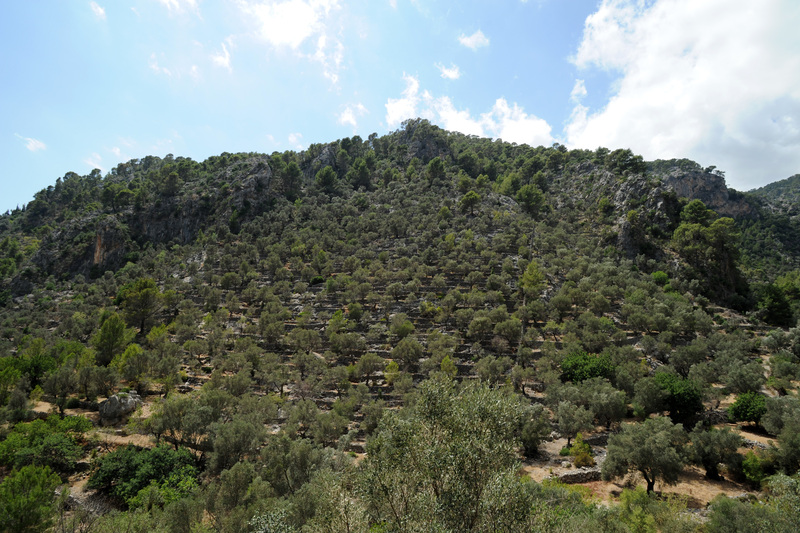 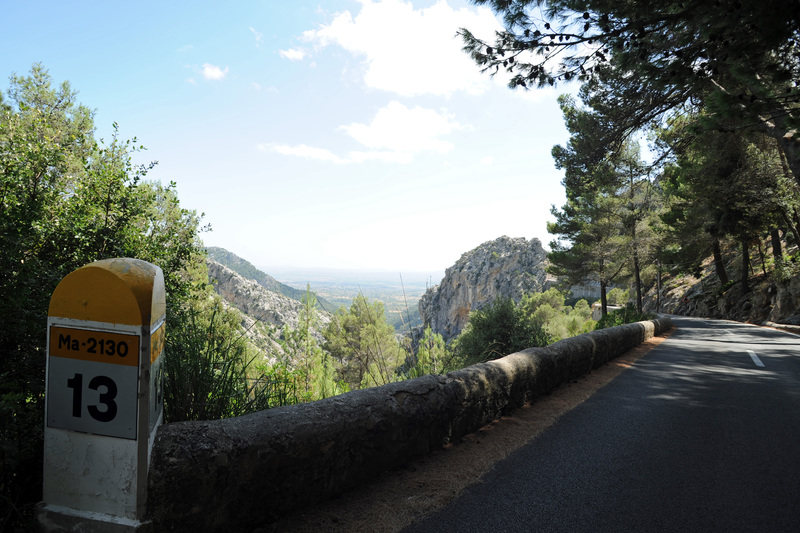 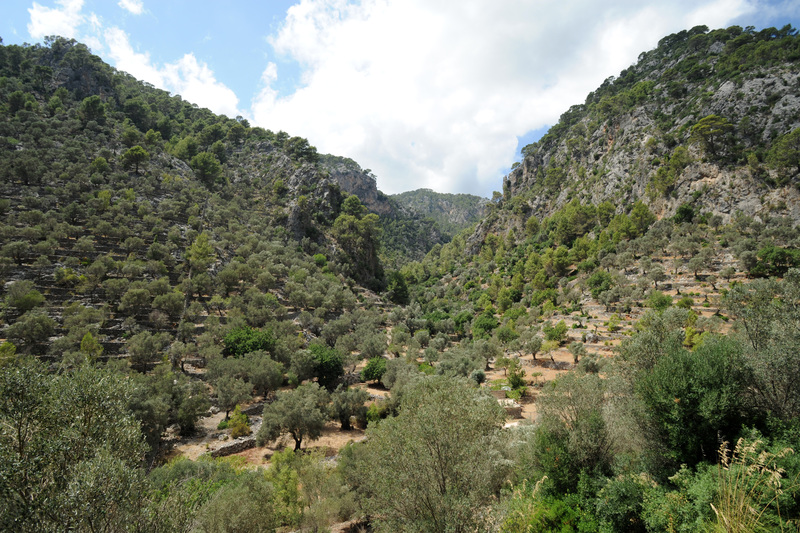 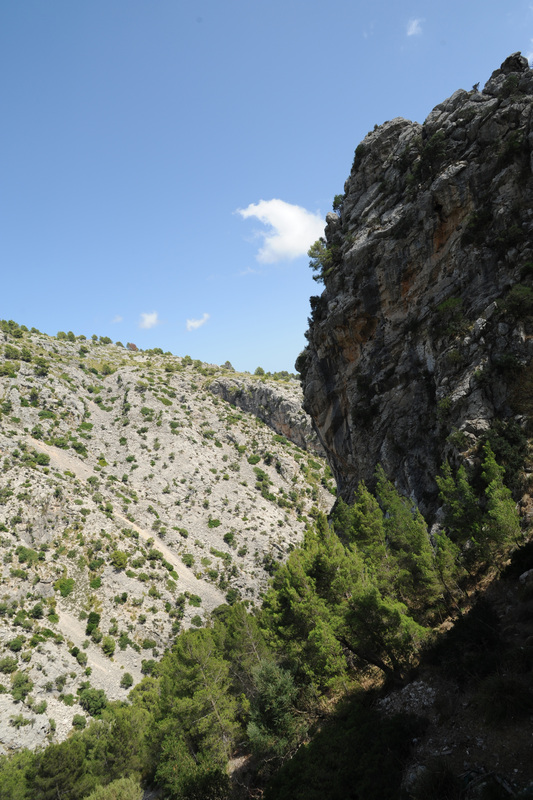 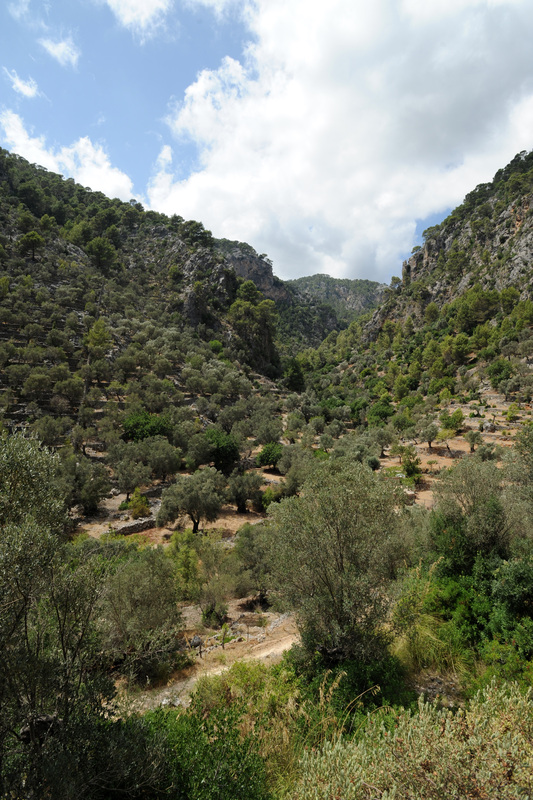 The Puig Major de Son Torrella is the culmination of the island of Majorca (1 432 m) and all the Balearic archipelago. 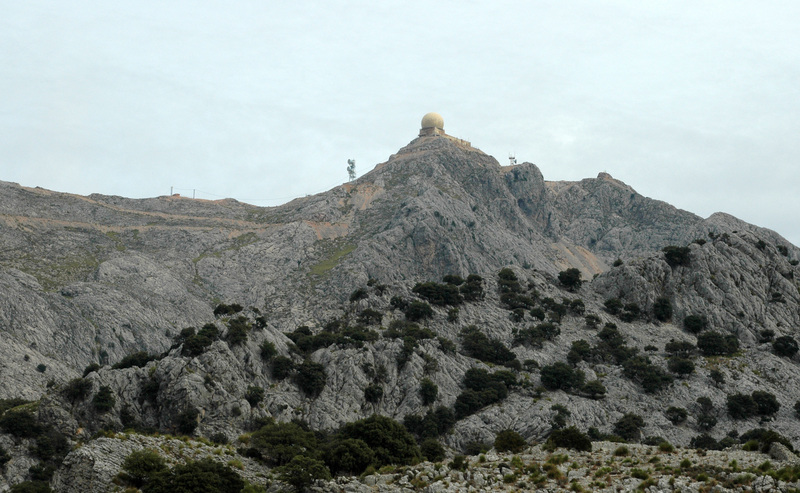 Taking the left side of the road - coming from Sóller - a spectacular trail winds to the top of Puig Major, but stumbles over a fence: the top of Puig Major is indeed a military zone closed to the public, home since 1958 a NATO radar monitoring the entire western Mediterranean and North Africa. 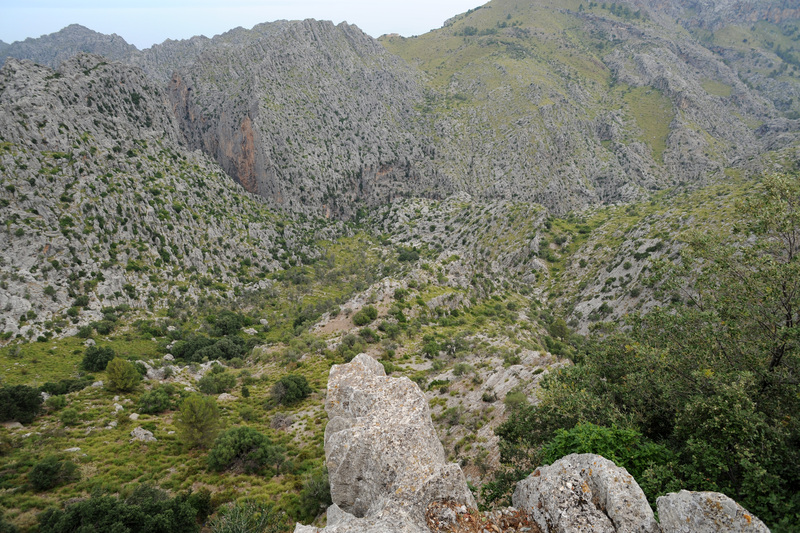 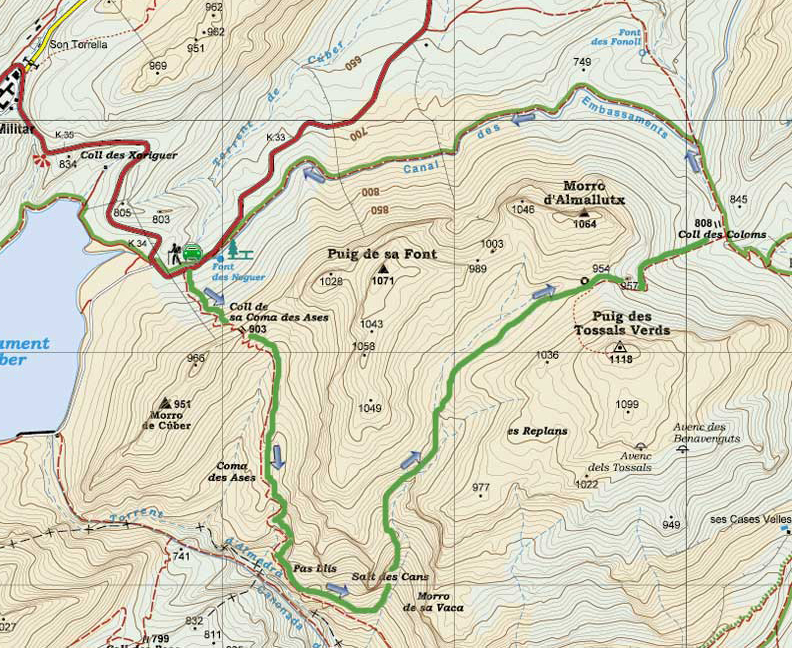 The climb can be done in 2 hours 30 minutes on foot. 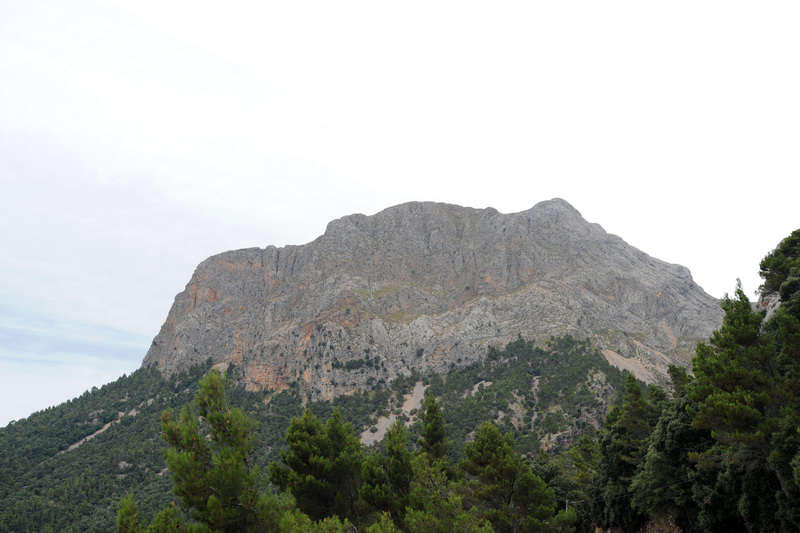 A neighbor peak of Puig Major Son Torrella, the Puig Major de Maçanella (or Massanella) is - therefore - the highest accessible summit of the island (1 365 m) and is part of the Serra D’Alfàbia and dominates the valley Gorg Blau in the east. 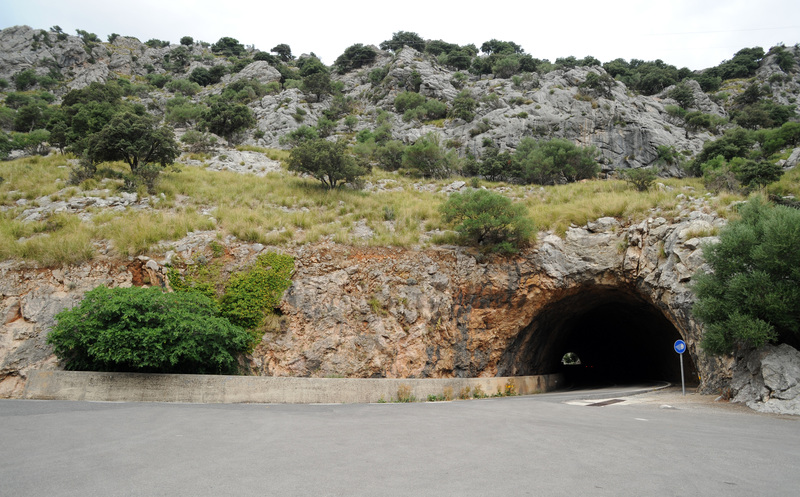 After a second tunnel, which crosses the eastern flank of the Puig Major de Son Torrella, the road leads to the village of Escorca, shortly after the tunnel on the left, a spectacular street down to the hamlet of Sa Calobra. 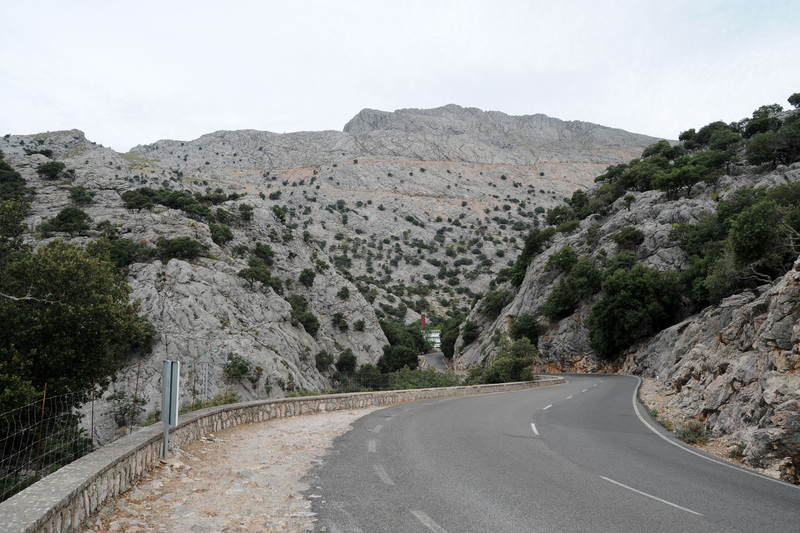 After Escorca, another small road on the left leads to the Monastery of Lluc. 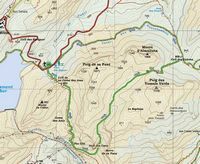 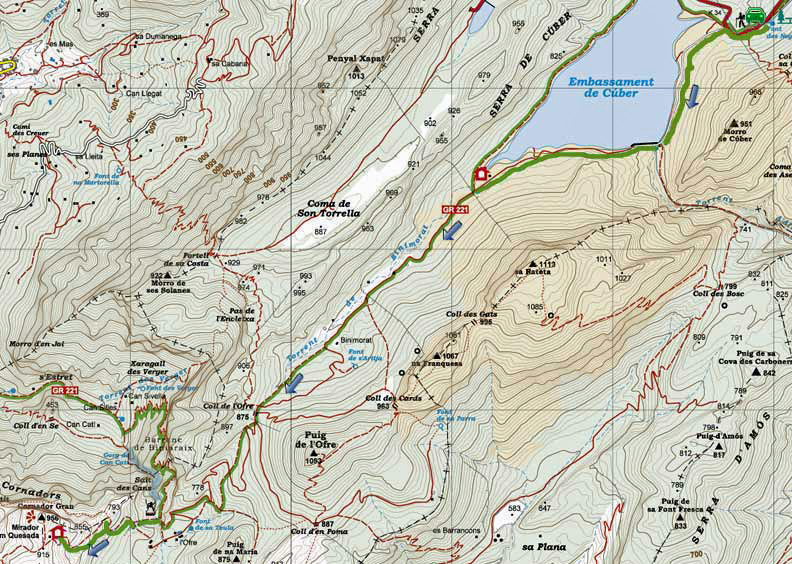 After Escorca on the right, the road Ma-2130 goes down to the plain in the direction of Inca.